Brian Halahan’s spur-of-the-moment visit to old colleagues at Carl Haas Auto Imports has brought one of the biggest names in American open-wheel racing back to the sport. 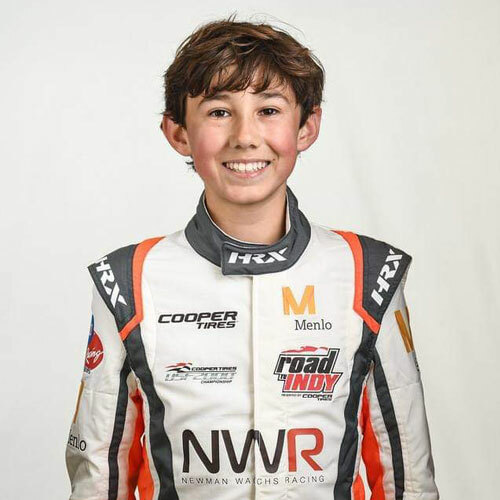 Newman Wachs Racing makes its return this weekend in the Chris Griffis Memorial Test, featuring all three levels of the Mazda Road to Indy presented by Cooper Tires running on the Indianapolis Motor Speedway’s road course in preparation for the 2017 season. For a driver entry list for the test, click here. Eddie WachsNWR was formed by late actor and longtime Indy car team owner Paul Newman and longtime racing friend Eddie Wachs (left) in 2005 to aid development of young drivers in Champ Car’s Cooper Tires presents the Atlantic Championship powered by Mazda. Among the drivers to go through the NWR program were JR Hildebrand and Simona de Silvestro. Newman died in 2008 and the team has been dormant since John Edwards won the 2009 Atlantics championship. 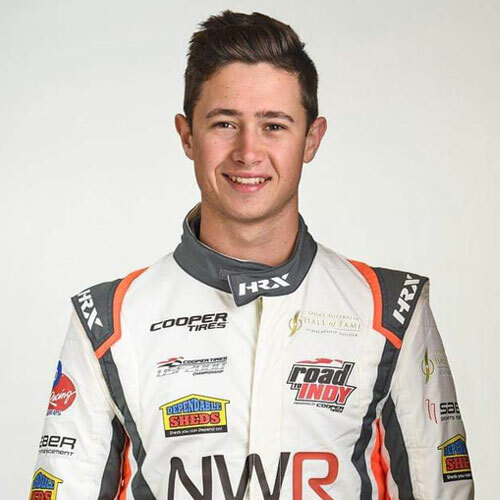 But inspired by team manager Halahan, NWR has two cars entered in the Griffis test to help debut the Tatuus USF-17 chassis in the Cooper Tires USF2000 Championship powered by Mazda – the lowest of the three MRTI developmental stepladder levels. Halahan first saw the new chassis in May. After he convinced Wachs to take a look at it, the two quickly placed an order for two cars with an eye toward 2017 when the USF-17 makes its competition debut. Carl Haas Auto Imports – whose namesake was the other half of the famous Newman/Haas Racing team that fielded the likes of Mario and Michael Andretti, Nigel Mansell, Cristiano da Matta and Sebastien Bourdais in Indy cars for nearly three decades – was the distributor of the Van Diemen chassis that was used in USF2000 through this past season. Halahan happened to stop by the suburban Chicago shop in May. “I saw the new car when they were unloading it to take it down to Indy (for its public unveiling at Indianapolis Motor Speedway),” Halahan said. “I just stopped by to say hi to some of the guys and, when I saw it, my first thought was that I was going to call Eddie and have him come over and check this thing out. “Eddie met me there later in the afternoon that day, and within 20 minutes we had a deposit down on the cars,” Halahan continued. 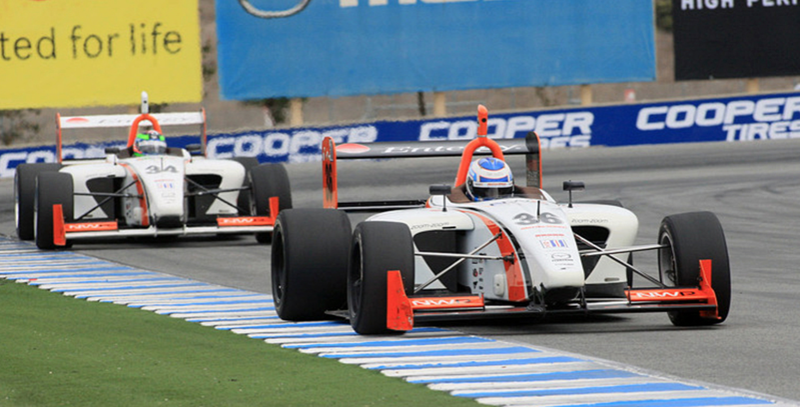 The USF-17 chassis will serve as the base for new Pro Mazda Championship presented by Cooper Tires PM-18 chassis – with enhanced aerodynamics, wider Cooper tires and an updated Mazda engine – to debut in 2018. It allows for a seamless progression for teams and drivers wishing to move up the development ladder. “Eddie saw it and said it’s a proper race car, and the way that they’re going to move the car up into the Pro Mazda series in 2018,” Halahan said. “There’s a big opportunity there for myself for business and to keep his and Paul’s name out there in racing. Using the same chassis in both series, Halahan said, will allow the team to build continuity. JR HildebrandHildebrand (shown racing for NWR at left), the 2011 Indianapolis 500 runner-up who has driven part-time for Ed Carpenter Racing the past three years in the Verizon IndyCar Series, joined NWR for the last Atlantics race in 2006 after he wrapped up the Formula Ford 2000 crown by winning 12 of 14 races for Cape Motorsports. He had two top-five finishes and 10 top-10s with NWR in 2007 before moving to Indy Lights in 2008 and winning that championship in 2009. De Silvestro won in her first race with NWR in 2008, two years before she joined the Verizon IndyCar Series and made 68 starts. The top step on the MRTI ladder is Indy Lights Presented by Cooper Tires. While Halahan didn’t rule out that possibility down the road, he said the foundation needs to be laid first. “There’s always a desire (and) we have to be realistic about it,” Halahan said. “We’ve been out of it for six years. To get going again and build a team, it’s not easy to build a team and it takes time. “In 2006, they thought they could build and win a championship in the first year. It doesn’t work that way. It took us three years to have a proper team with the right guys, so the thing would be build a team now, if we could do (Indy Lights) and it makes sense, yeah, we would love to do it. 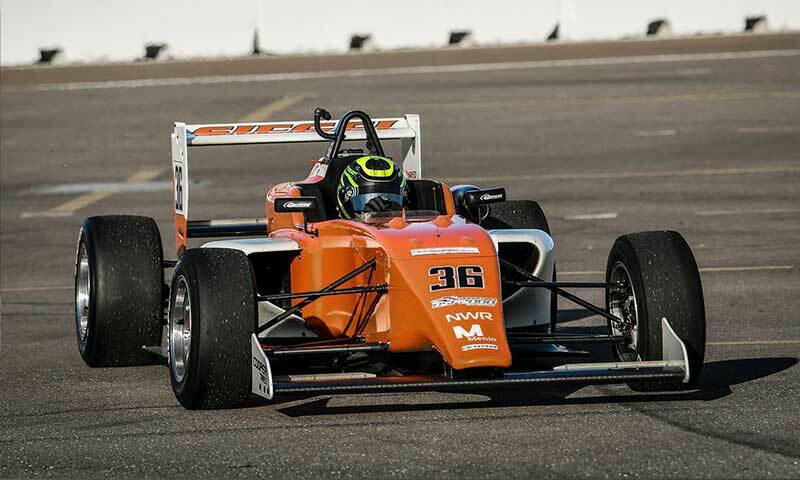 NWR will run Brendon Leitch from New Zealand and Andre Castro from New York in its two USF2000 cars (one is shown below) at the sixth annual Griffis test, named for the Schmidt Peterson Motorsports with Curb-Agajanian team manager who died unexpectedly in 2011. Test sessions for all three MRTI series run from 8:30 a.m.-6:20 p.m. ET both Saturday and Sunday on the 2.439-mile permanent road course. More than 40 drivers from 12 countries are expected to participate.